2014 Yamaha YZF-R125 Specs - New Yamaha YZF-R125 is present with a sporty design Yamaha typical that has been equipped with the front fork up-side down, radially mounted on the front brake calipers, panel indicators full digital, and new wheels are claimed to be lighter. Liquid-cooled 4-stroke single cylinder engine : Featuring a free-revving short-stroke configuration, the liquid-cooled 125cc 4-stroke engine drives though a slick-shifting 6-speed gearbox to give ultra-responsive acceleration. 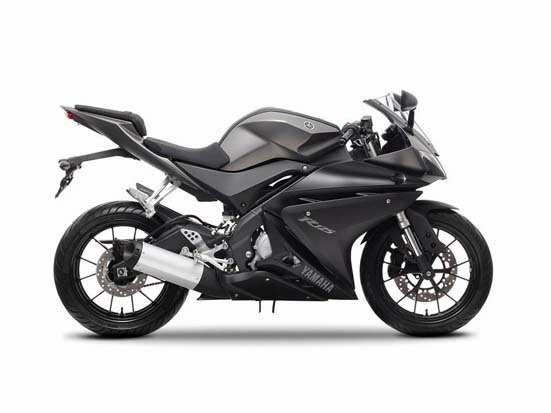 Equipped with a highly efficient fuel injection system, the latest generation YZF-R125 delivers thrilling performance with outstanding fuel economy. Lightweight aluminium chassis components : R-Series DNA is evident in the light and immensely strong aluminium swinging arm which ensures precision handling and confident roadholding. 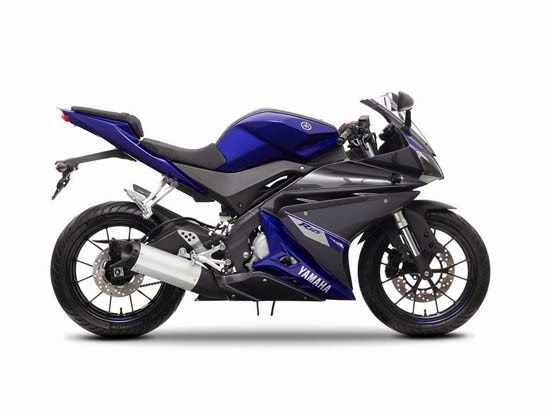 A redesigned rear linkage gives even greater riding comfort, and with the brake pedal, shift lever and passenger footrests all made from aluminium, the YZF-R125 has a leading specification. Multi function LCD instrumentation : The YZF-R125 is equipped with one of the most sophisticated LCD instrument panels seen on a 125cc bike. Its comprehensive backlit display includes a digital speedometer with a bar type tachometer, and the advanced design also includes data on fuel level and fuel consumption, as well as distance and range trip meters. R6-inspired bodywork : With its aggressive twin headlight fairing and central air intake, there's no mistaking the R-series heritage in the latest YZF-R125. The new generation R6-inspired front cowl gives this class-leading 125cc supersport a genuine big-bike look and feel, and the slippery aerodynamic bodywork is ready to slice through the air for maximum riding excitement. High-rigidity upside down forks : Just like the legendary R1 and WSS-winning R6, the YZF-R125 is now equipped with upside down front forks which offer high levels of rigidity for precise and responsive handling characteristics. To emphasize the R-series racing heritage the front fender features a carbon-look finish, giving the latest YZF-R125 a real big-bike character. Lightweight race-bred wheels : Newly-designed lightweight wheels utilise a race-bred multi-spoke design featuring thin Y-shaped spokes that contribute to a low unsprung weight for responsive suspension action and precise handling. And with a 100/80-17 front tyre and wide section 130/70-17 rear tyre, this 125cc superport bike is built to slice though the bends. Radial front brake caliper and floating disc : The YZF-R125’s advanced new front braking system is a spin off from our larger-capacity R-series models. Featuring a floating 297mm diameter disc, the high specification radially mounted caliper is designed to deliver strong and effective braking performance and outstanding initial response. 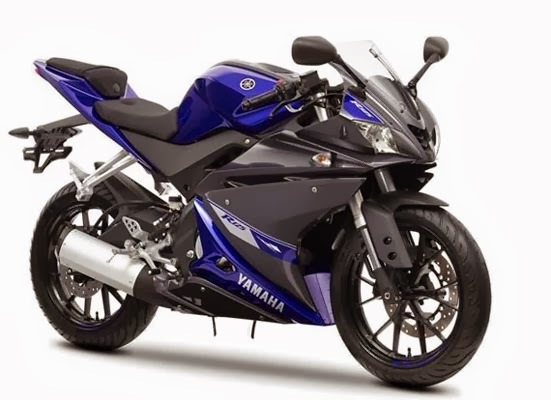 New YZF-R125 equipped with engines 125 cc, 1 cylinder, SOHC, EFI, air cooled.The engine is capable of producing power to 15 hp and torque of 12.4 Nm which transferred to the wheels through a 6 speed transmission. Yamaha claims New Yamaha YZF-R125 is now more efficient around 11% compared to its predecessor.